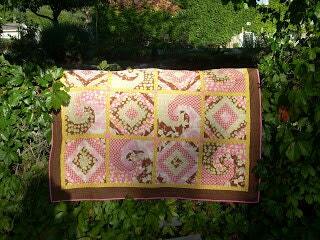 Paper pieced strip pieced blocks combine with snail's trail to create this movement filled quilt. 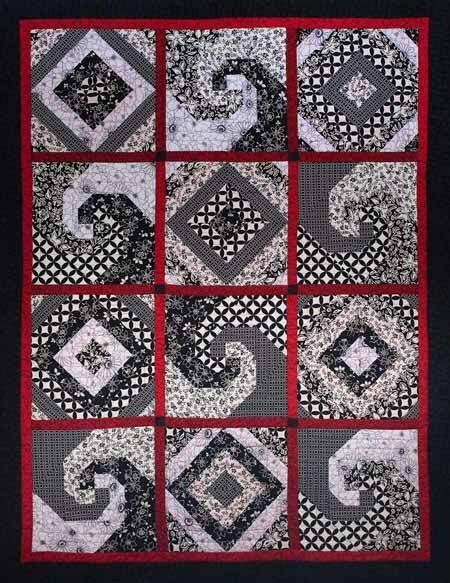 Make it black and white with a splash of color for a man quilt or find some fun funky fabrics and make it all your own. Throw quilt 46" x 61"